Binder is nice looking professional blogger template. 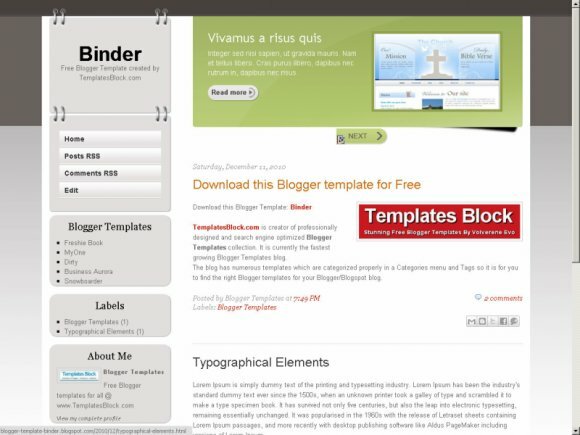 This template is suitable for most types of blogs especially business blogs. It has an image slider, two columns and a vertical menu bar on the left.